The Supreme Court on Monday decided to refer to a larger bench a PIL seeking discontinuance of Sanskrit prayers to be recited during the morning assembly sessions in Kendriya Vidyalayas across the country. 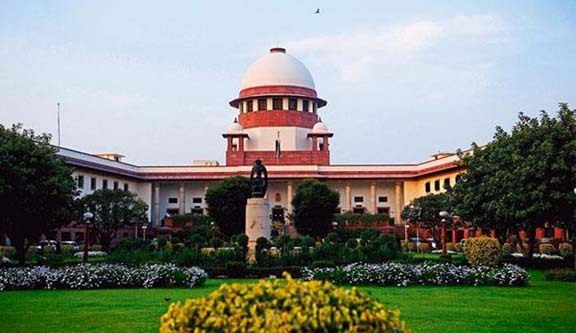 A bench of Justices RF Nariman and Vineet Saran said that the PIL raises question of “seminal importance” and recommended that the matter should be judged by a Constitution bench of five judges. The PIL was filed by a person named Veenayak Shah, a resident of Madhya Pradesh, reports The Indian Express. Shah said that the prayers which have been derived from Hindu scriptures violates the right to religion of minority communities and rights of atheists, agnostics, scepticists, rationalists and others who do not agree with this system of prayers. He also said that the immense importance being laid to recitation of Hindu prayers in the morning assembly can hamper development of scientific tempererament among young students. Appearing for the Centre, Solicitor General Tushar Mehta said the petition deserves to be dismissed. Referring to the Sanskrit hymn ‘Asatoma Satgamaya, Tamasoma Jyotirgamay’, Mehta said it only meant lead me from falsehood to truth and from darkness to light. He said that it denotes an universal truth and there is nothing religious about it. When Justice Nariman pointed out that the hymn was drawn from the Upanishad, Mehta replied by saying that the term ‘honesty is the best policy’ which is often taught in schools does not make a school communal. Mehta also pointed out to the bench that the emblem of the Supreme Court has the verse ‘Yato Dharma stato jaya ha’ which has been derived from the Mahabharata. He asked whether the inscription in the emblem of the apex court makes the court non-secular. The bench told Mehta to argue these points before the Constitution bench when it takes up the PIL for hearing. The bench sent the petition to the Chief Justice of India for assigning its hearing to an appropriate bench.